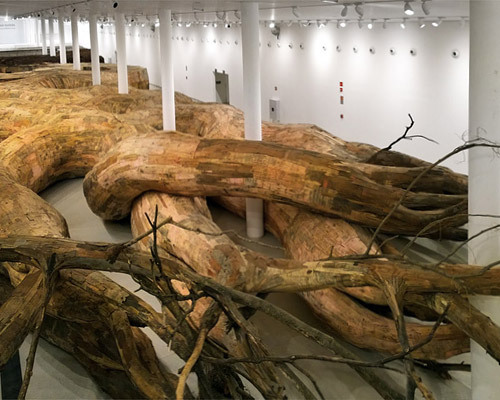 henrique oliveira is a brazilian artist best known for using tapumes, or 'fencing' in portugese, as a title for many of his large-scale installations. 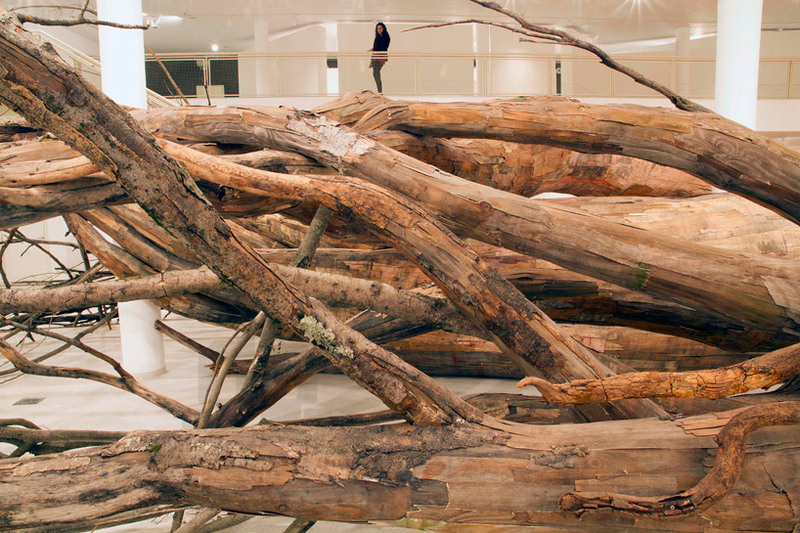 the term makes reference to the temporary wooden construction fences seen throughout the city of são paulo where oliveira lives. 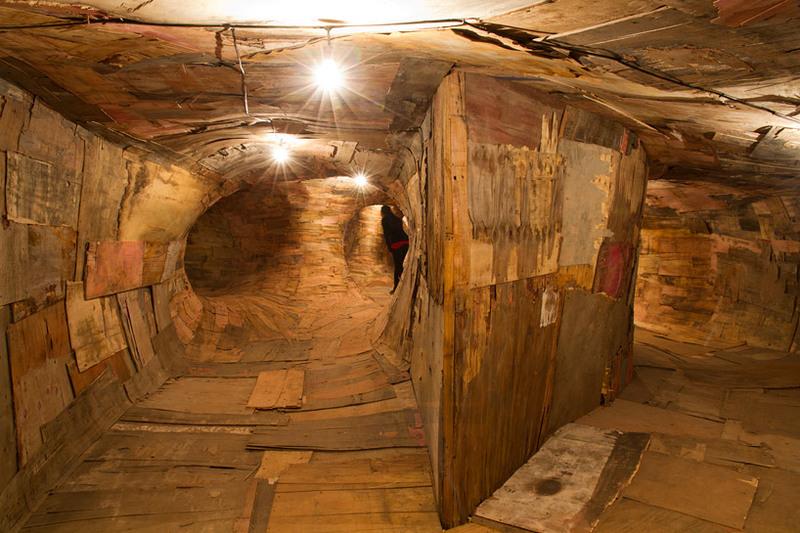 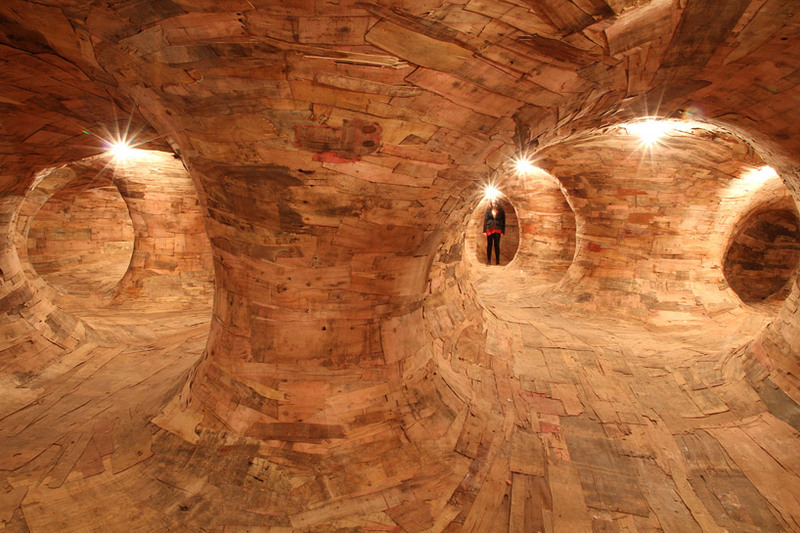 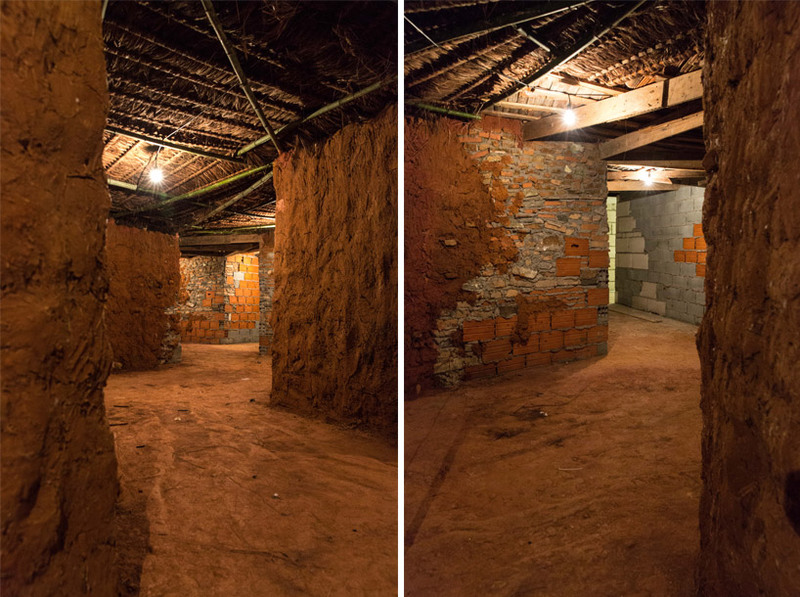 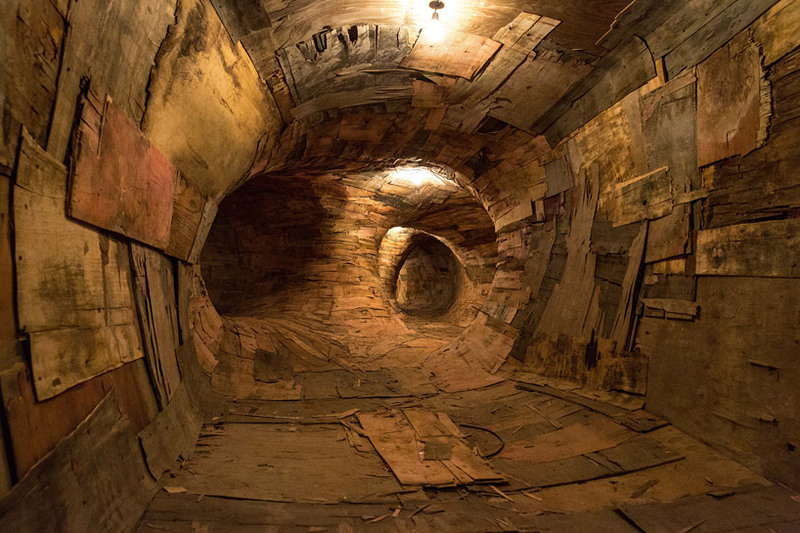 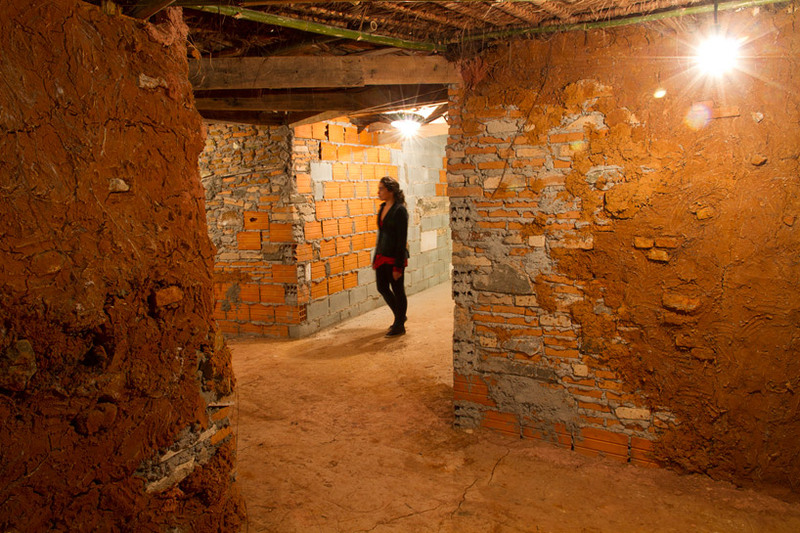 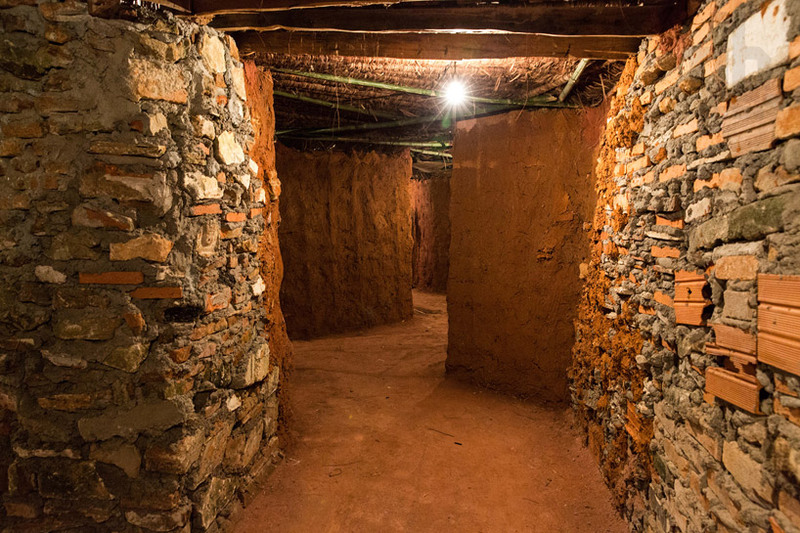 it also refers to the weathered wood oliveira uses as the primary material in his installations. 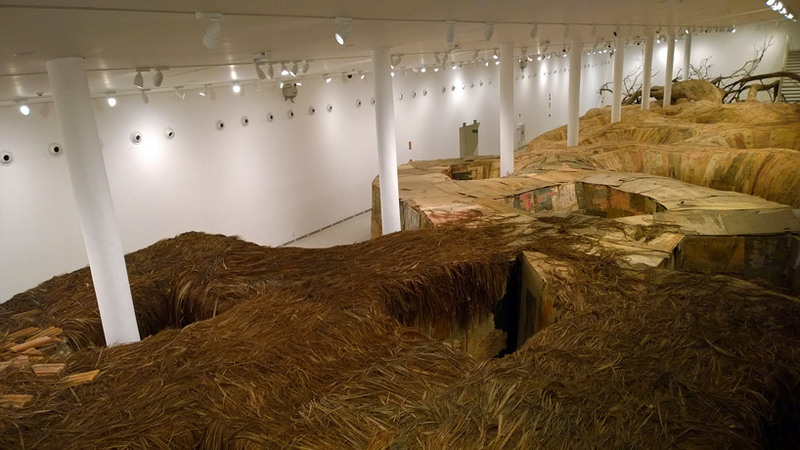 early on, oliveira experimented with the surfaces of his paintings by gluing newspaper onto a canvas and scraping it, or mixing sand with the paint. 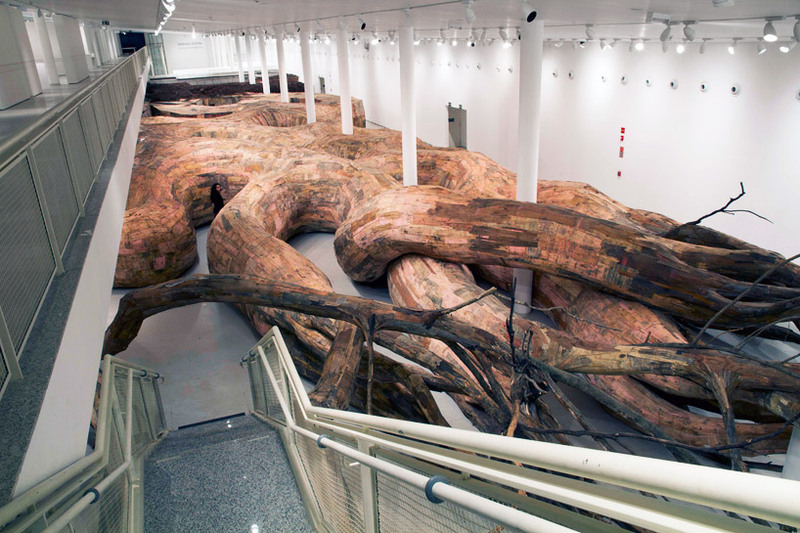 brazilian artist henrique oliveira has occupied the vast gallery expanse of the museum of contemporary art, university of são paulo with ‘transarquitetônica’, his largest immersive installation to date. 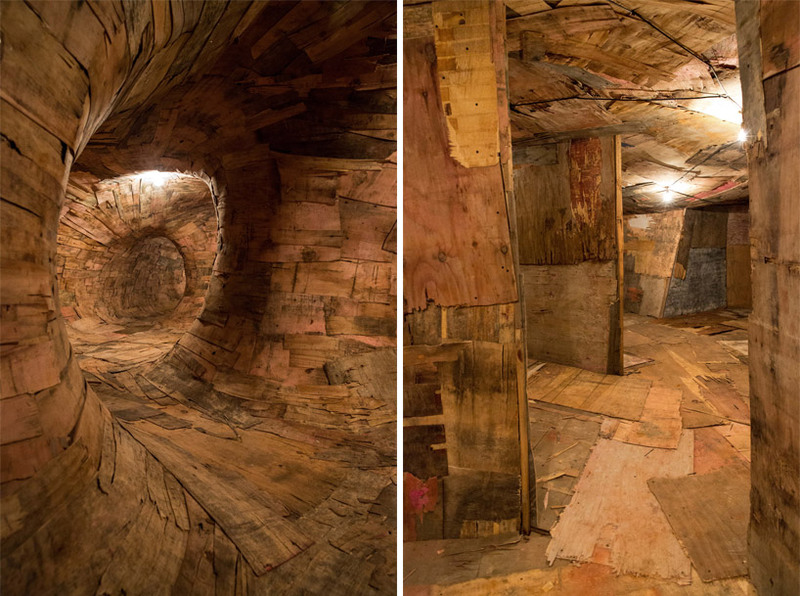 using materials recycled from his home city’s urban fabric, oliveira has configured a massive series of snaking wooden columns wrapping through the interior space, which can be entered and experienced by the visitor. 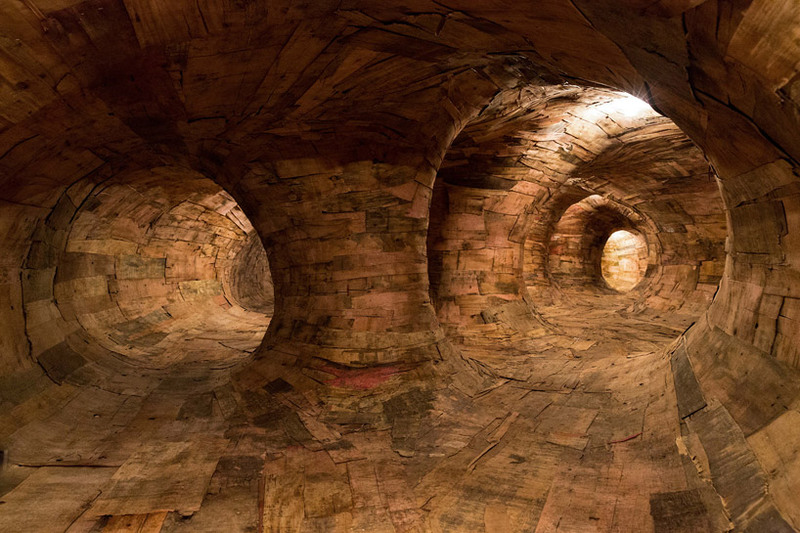 the various routes with multiple possibilities are designed to embrace the observer in a sculptural universe, with the smells, sounds and sights of the medium surrounding them within the form. 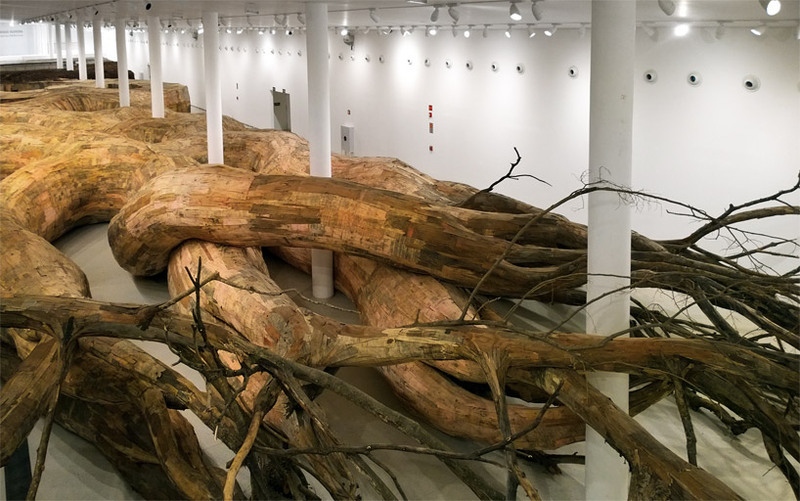 shifting in narrative and aesthetic from front to end, the piece epic proportions begins as the knotted roots of a tree, and finishes as narrow, white-painted corridors, symbolically expressing the evolutionary transformation in architecture from the caves which served as shelter to men and women for millennia to the high-rise buildings in the sky we occupy today. 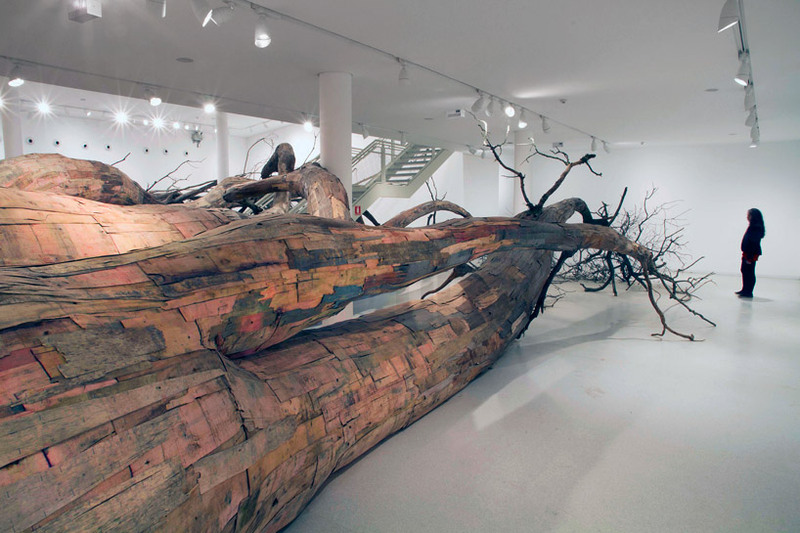 this is a WOW !